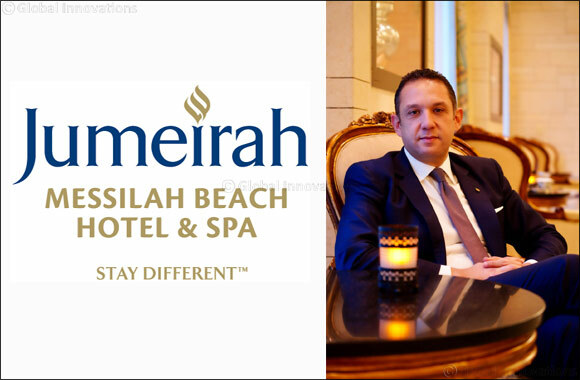 Kuwait, 5 August 2018: Jumeirah Messilah Beach Hotel & Spa, Kuwait's idyllic resort, has appointed Georges S. Akar as its new Director of Sales and Marketing. Akar joins Jumeirah Group from the Four Seasons Hotel in Beirut following his recent post as Director of Sales & Marketing. He brings with him almost 20 years of industry experience and will oversee the Sales & Marketing operations for Kuwait’s luxurious property. General Manager, Savino Leone said, “We are very pleased to welcome our new Director of Sales & Marketing, Georges Akar, to our passionate team. Behind every great resort is a dynamic leader whose expertise in developing and executing Sales & Marketing initiatives play a significant role in maintaining the positioning of Jumeirah Messilah Beach Hotel and Spa as a market leader. Prior to joining, Akar’s globe-trotting two-decade career encompassed many of the world’s leading hotel and hotel management brands. He had filled numerous directorial positions ranging from Four Seasons Hotels & Resorts in Beirut, Riyadh and several regions of Thailand, Mandarin Oriental Hotel Group in Kuala Lampur, as well as Mövenpick, Rotana and InterContinental Hotels & Resorts in Beirut. Akar obtained his Bachelor’s Degree in the Science of Business Studies in Hospitality Management from the Lebanese American University in Beirut. With multi-market experience leading teams in properties from around the world, Akar will now lead a dedicated Sales & Marketing team at the Jumeirah Messilah Beach Hotel & Spa, managing the resort’s business strategies through sales, conference & events, reservations and marketing while continuing to develop the luxury property as one of the leading resorts in Kuwait. The Jumeirah Messilah Beach Hotel & Spa offers 407 rooms including 79 residential suites, two royal suites and 12 private luxurious villas. The resort is also home to the relaxation haven, Talise Spa as well as seven unique dining venues. The landmark is nestled in the secluded beachfront area of Messilah along the shores of the Arabian Gulf, with easy access to Kuwait’s Central Business District, airport and other major attractions.